This Valentine's Day, get ready to serenade your significant other with cheap - yet chic - options that won't dim the romance. With the Chinese New Year, New Year's Day and Christmas pummelling your wallet since December 2018, you might want to cut back on your expenses without compromising on quality. We have rounded up some amazing deals that even Venus, the Goddess of Love will approve. You will expect to find the usual paraphernalia of Valentine's Day gifts such as flowers, chocolates, dinner, and drinks. 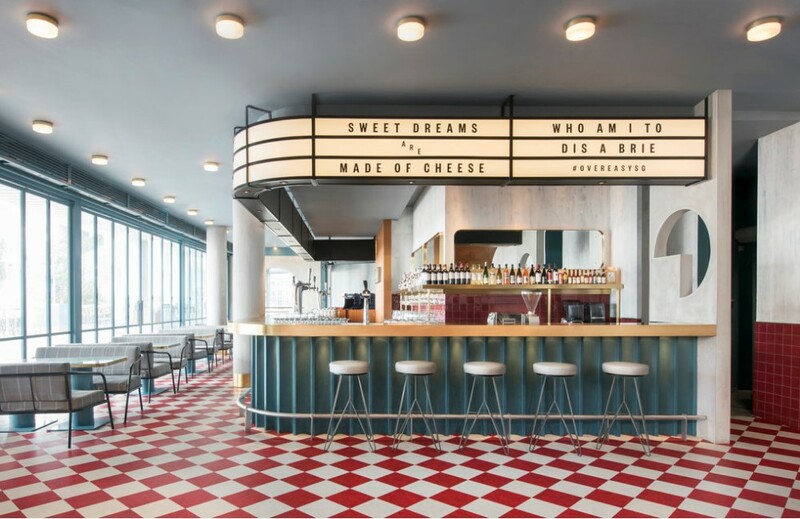 Mostly reasonably priced if you use the right credit cards or book early, these treats will captivate both your hearts and palates. 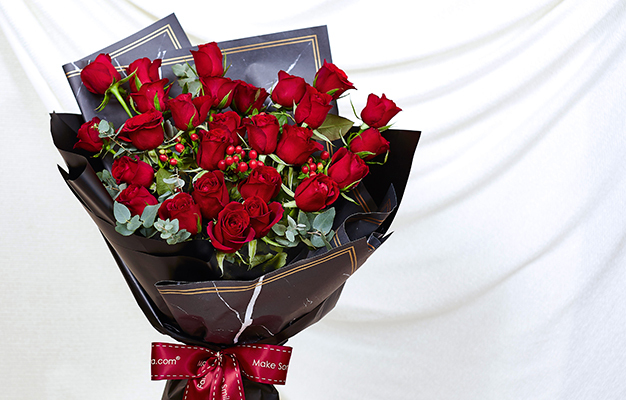 Say it with flowers and surprise her with a bouquet of lovely red roses. With prices highly marked up especially for this day, here are some offers you should check out. Enjoy up to S$100 off Far East Flora Valentine's Day 2019 Collection and get an additional S$5 off when you pay with your American Express Card. The offer is valid from 25 January 2019 to 14 February 2019 only. Floral Garage offers a wide assortment of bouquets, including flowers and teddy bears in various wrapping styles or in tin boxes, glass bell jars, or paper. The most unique? How about ordering your loved one a vegetable bouquet! Enjoy 10 per cent off if you order before 7 Feb 2019! Order online soon to avoid disappointment. Delivery is available upon request (charges apply). What would Valentine's Day be like without decadent and delicious chocolates? With so many merchants out there offering the ubiquitous milk, hazelnut or dark chocolates, the unique versions from Hello Chocolate will certainly 'WOW' your loved one. Outstanding in concept and design, Hello Chocolate's creative blend of flavours will make you crave for more. The 100g Zotter Heart (Vegan) with Walnut Nougat (S$21.25 after discount) is made from vegan white coconut couverture and filled with walnut nougat. 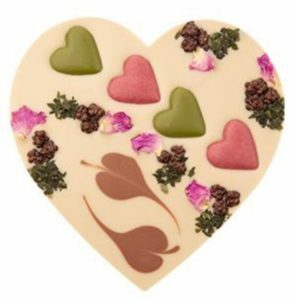 Bite into pieces of soy and dark chocolate, raspberry and green tea chocolate hearts, fragrant rose petals and green tea leaves, all lovingly wrapped in a decorative gift box. If you want to impress without spending too much, the Zotter - Rock n Roses - Mitzi Blue Chocolate priced at S$8.50 after discount is an amazing choice. The 65g disc is a ballad of white and milk chocolates, combined with a small raspberry disc and beautifully decorated with fragrant rose petals. So cute and pretty that even Cupid would love to take a bite! You can choose to self-collect or opt for delivery (charges apply). Take your special someone to a splendid Valentine's Day dinner. With so many hot deals to choose from, we have highlighted a few places for you to celebrate in style. Pro tip: Be sure to use these best dining credit cards to pay for your meal and maximise your rewards. Seafood aficionados will be thrilled to taste a tantalising selection of treasures from the deep such as freshly shucked oysters, Snow Crab legs, Boston lobsters, Lobster Thermidor, and gratinated mussels. Meat lovers are not left out too! Be tempted by sumptuous offerings like roast pork saddle stuffed with prunes and pancetta, slow-roasted Australian beef, pate, and rillettes. Those with a sweet tooth will be delighted to see an array of caramel eclairs, chocolate raspberry creams, strawberry baked cheesecakes, and more. Specially concocted for 14 February, the Valentine's Special: a 5-Course Cupid Menu will make you both swoon with delight. Starting with a welcome glass of Prosecco Love Potion, bread, snacks and petit four, the course includes: a delicately smoked trout paired with celeriac remoulade, with sprinklings of ikura (salmon roe) and luscious macadamia sauce; Hokkaido scallops with saffron aioli, watercress, and macadamia; a choice of pan-seared cod or red wine beef brisket; sweet corn soup with savoury chorizo; and a satisfying sweet ending of bananas, Vanilla ice cream, Victoria sponge, and rum. 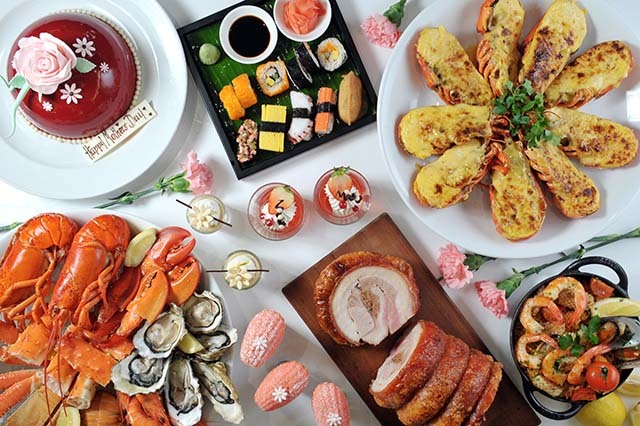 $68++ per person, inclusive of a welcome glass of Prosecco Love Potion, bread, snacks and petit four. Valid on 14th Feb 2019 from 6.30 pm to 8.30 pm, and 8.30 pm to 10.30 pm. Cannot be used in conjunction with other promotions, discounts or vouchers. Prices are subjected to 7 per cent GST and 10 per cent service charge. After a romantic and hearty dinner, wind down with some drinks at the bar. To sweeten the deal, you get to enjoy 1-for-1 deals, perfect for couple's night out. Head to Overeasy at One Fullerton from 5 - 8.30 pm (Mon-Fri) and indulge in house pour spirits, draft beers, and house wines during Happy Hour. 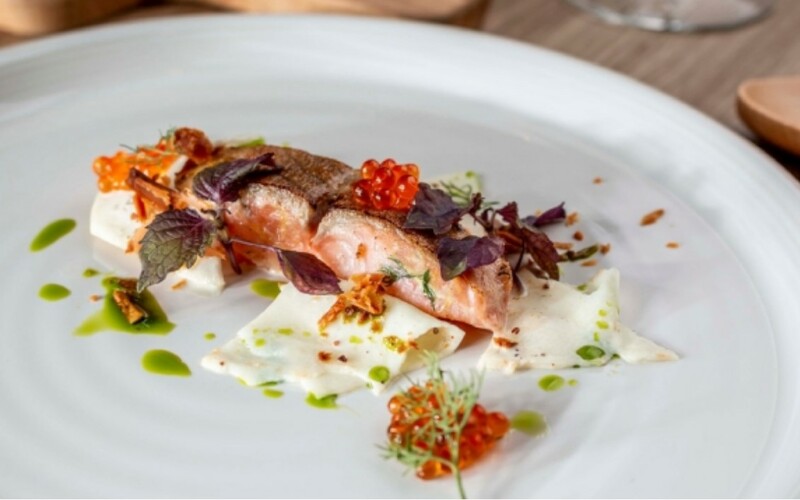 Another attractive and romantic option is The White Rabbit which offers 1-for-1 Hendricks Gin and Tonic (Tue-Sun) amidst the lush greenery of Dempsey Hill. At the end of the night, be sure to use these 5 credit cards to pay for your Grab ride home. This article was first published in SingSaver.com.sg.